Today, a supposed promotional image for the as-of-yet untitled Avengers 4 hit the web, giving us our first look at the assembled team in the sequel. It’s unconfirmed whether or not it’s truly authentic, but it looks very much in line with the artwork that usually accompanies the franchise’s marketing. And while it’s just a picture of the team, we can already make some pretty solid guesses as to the film’s plot, based on just how each character looks. Tony Stark’s looking more or less how we left him in Infinity War, with no real significant changes in his nano-tech Mark L suit. This does, however, confirm that he can seemingly replace or regenerate lost nanoparticles, considering he lost quite a few in his fight with Thanos. We can also safely assume Tony and Steve are back to being buds again, seeing as though they’re fighting side-by-side here. No real changes here, either. Thor looks pretty much exactly like he did at the end of Infinity War, Stormbreaker and all. 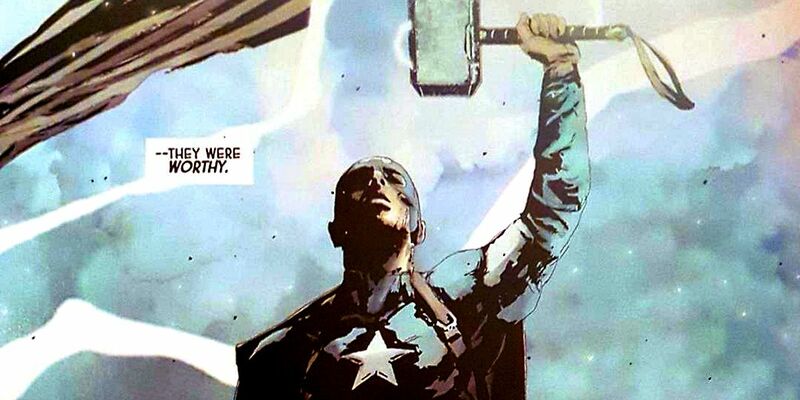 No sign of whether or not he gets Mjolnir back due to time-travel shenanigans as recent plot leaks have suggested. The same with Nebula, although it’s pretty much confirmed now that she’ll be fighting alongside the rest of the Avengers. It also confirms that she and Stark both make their way back to Earth at some point. It’s hard to tell here, but I don’t think Clint is sporting the Ronin outfit that he was seen on set wearing, which leads me to believe that he’ll only be adopting that identity at the start of the film. 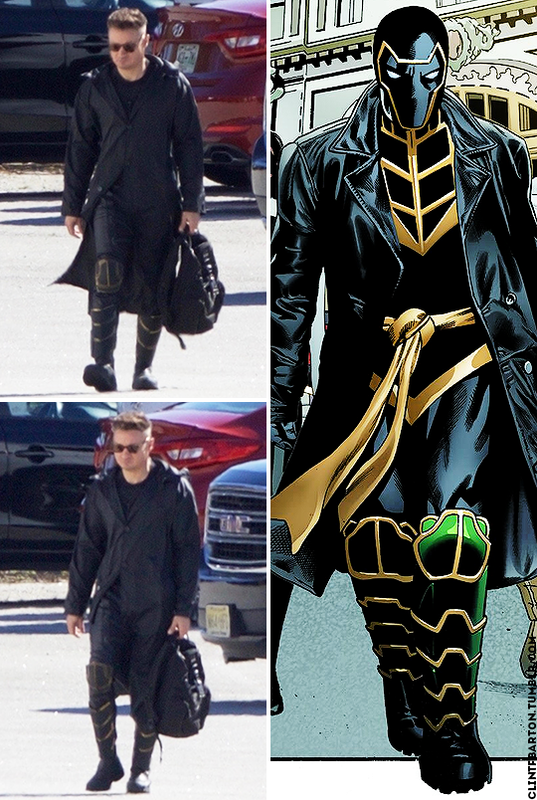 By the time the team regroups again, he’ll be back to being good ole’ Hawkeye again. And hopefully he’ll get some decent screen time too. This is the most fascinating detail of the promo image: Hulk wearing a suit. This is very much in line with rumors that we’ll see Professor Hulk, the combined mind of Banner with the Hulk’s strength, in the sequel. I imagine that Banner is a bit more conservative than his green counterpart, and likely would opt not to go shirtless. We can also see a bit more of Mark Ruffalo’s face in the Hulk here, with softer and less angry features. This is also pretty much in line with the character arc that Banner/The Hulk seem to be going through from Thor: Ragnarok onward, with the two reaching some understanding with one another, and maybe even some sort of symbiosis. Natasha is back sporting her natural red hairdo, again backing up the idea that Cap’s team is no longer in hiding. She also seems to be making sure to stick close to Banner/Hulk, which maybe indicates we’ll be seeing more of their relationship. Rhodey got SWOLE. Maybe it’s to make up for the damage done to the suit by Thanos, or maybe the team just needs to more fire-power. Either way, War Machine is built like an absolute tank here, which creates a nice contrast with the sleekness of Tony’s nano-suit. Not much new with Scott Lang here, although the Wasp’s conspicuous absence backs up the rumor that Ant-Man and the Wasp takes place right before the end of Infinity War, and that the film will end with Hope disintegrating in front of Scott, prompting his involvement in the sequel. Rocket looks more or less the same here, albeit sans his usual large firearm. Seeing him interact with the rest of the team should be a blast. Here she finally is! The message sent by Fury in Infinity War‘s post-credits stinger must have worked, because Carol Danvers has certainly arrived. 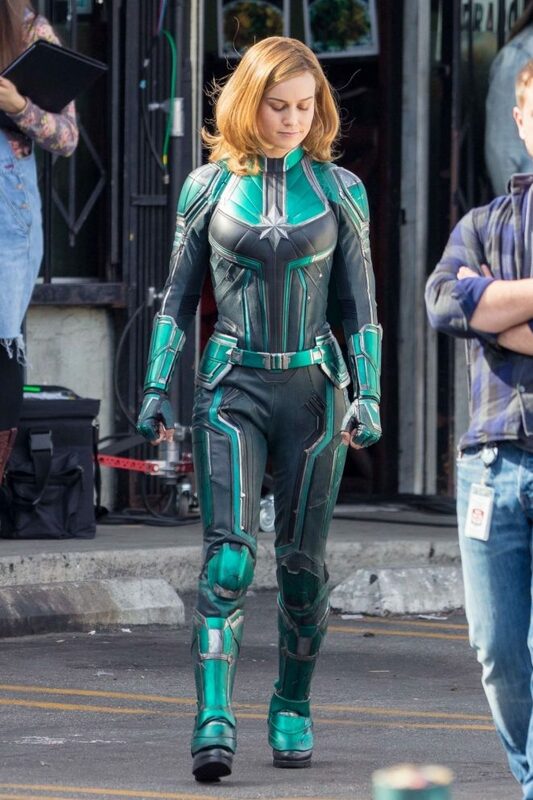 Note that she’s wearing her comic colors, rather than the green Kree suit she’s been seen in on the set of her solo movie, indicating that she’ll probably get her classic suit by the time she shows up in Avengers 4. Again, although we only have this one piece of artwork to go on, we already can deduce quite a bit about what exact team we’ll be seeing next May. And in my opinion, it’s looking amazing.